This is the fifth part of the Geometer’s Sketchpad Essentials Series. In this post, we are going to learn how graph using Geometer’s Sketchpad. We are going to plot the function and , change their properties such as colors, and thickness, and plot their intersections. This is the first tutorial in the Geometer’s Sketchpad Essentials (GSP) Series. 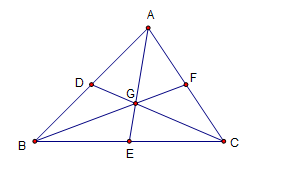 In this tutorial, we are going to investigate the medians of a triangle. We will learn how to use the basic tools: Point Tool, Selection Arrow Tool, and the Segment Tool. If you are not familiar with GSP, you may want to read Introduction to Geometer’s Sketchpad. This is the first part of the Geometer’s Sketchpad Essentials Series. In this post, we will learnabout Geometer’s Sketchpad and its environment before we use the software. Geometer’s Sketchpad (GSP) is a commercial geometry software created my Nicolas Jackiw in the 1980s. 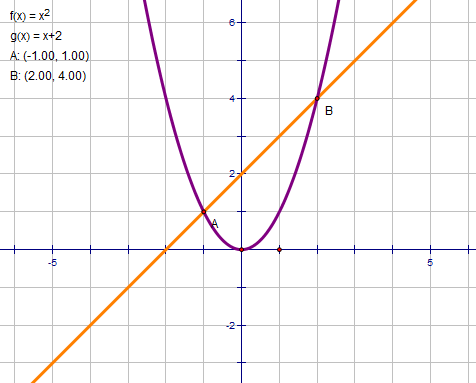 It is similar to GeoGebra, but with fewer tools. On the one hand, it is more difficult to construct geometric objects using GSP compared to other dynamic geometry software; but, on the other hand, it can be inferred that because of the lack of tools, it may improve geometric construction knowledge better than many geometry software.